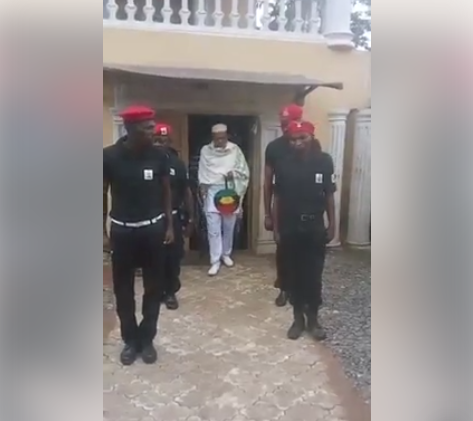 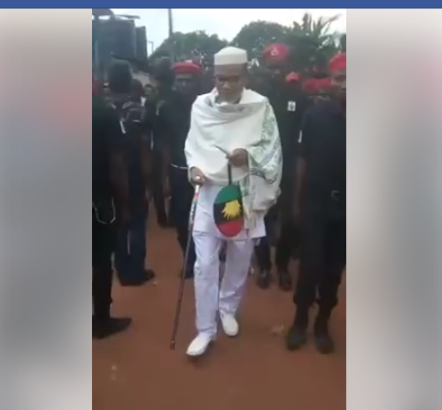 Leader of the Indigenous People of Biafra, IPOB, Nnamdi Kanu was seen on tape inspecting the guard of honour of Biafra Secret Service on Tuesday. 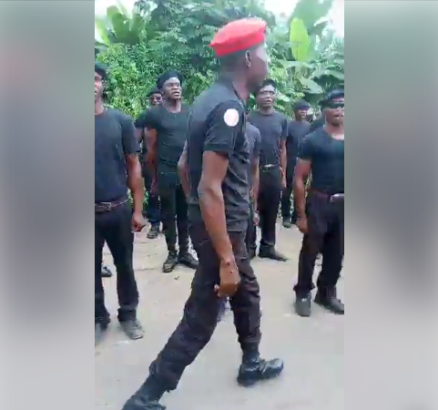 The Biafra Secret Service is some sort of Biafra armed forces (dunno if this ones are armed) inaugurated recently to defend Biafraland. 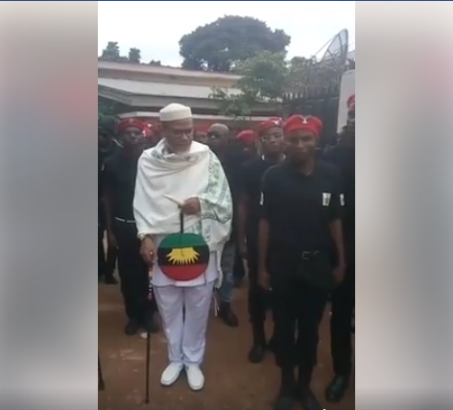 According to BSS, their members are drawn from different states of Nigeria and their aim is to restore Biafra.